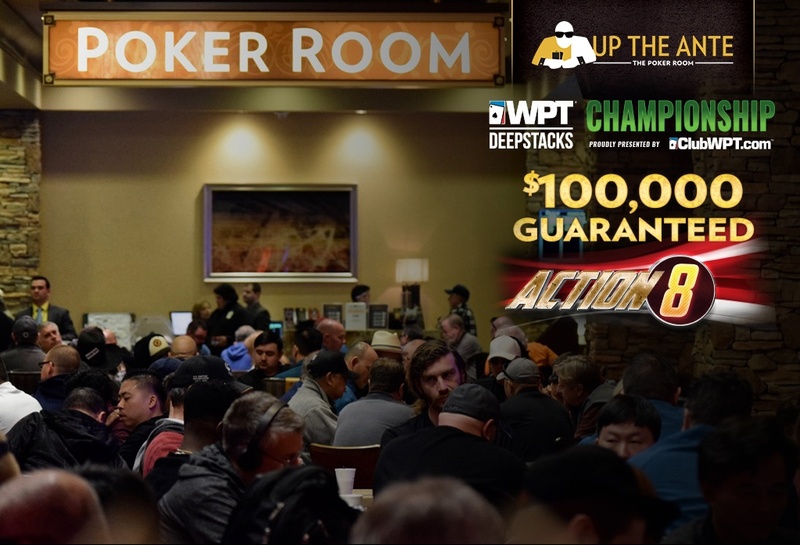 There's 3 starting flights for the $100,000 Guaranteed Event 7 in the @WPTDeepStacks Championship Series - the $560 Action8. Play 8-handed throughout the tournament. Antes begin with the very first hand. Start with 20,000 chips and play 30-minute levels all tourney long. The unlimited-entry registration period is open to the start of Level 9 at 3:25pm. Play down to the money - 12.5 percent of the final starting field - then come back Friday at 11am to play down to a winner. 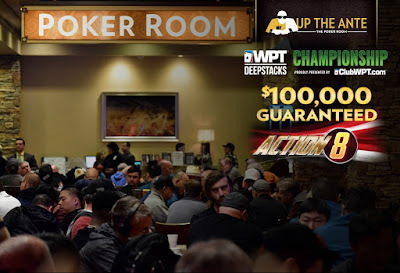 Day 1B starts today at 5pm and the final starting flight - Day 1C - stats Thursday at 11am.